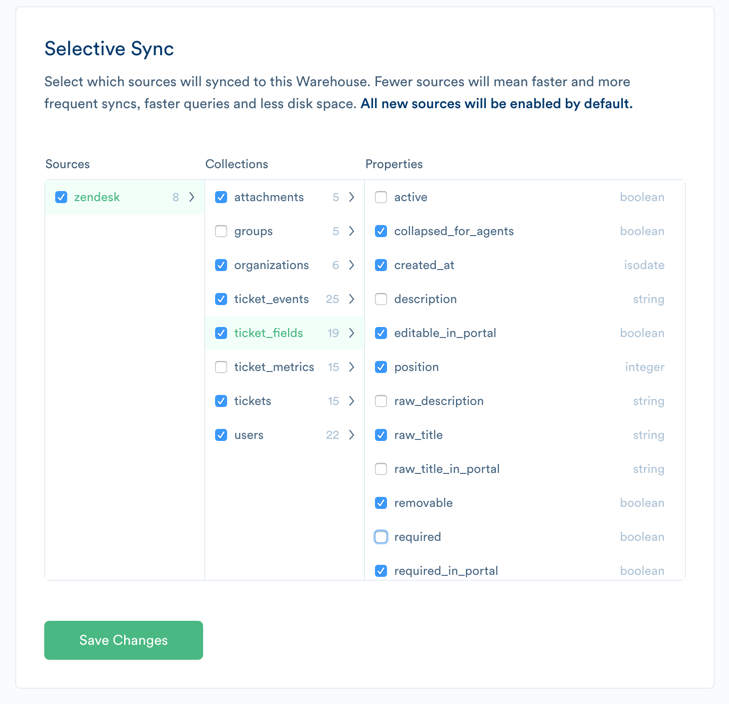 Selective Sync, available to Business Tier customers, allows you to select what sources, collections, and traits get synced in your warehouse. This allows you to remove unnecessary events and properties that you don’t need to analyze in your warehouse. We’ve seen customers use this to trim down their database storage needs and filter sensitive data from their analytics warehouse. If you’re interested in using this feature and aren’t on our business tier, please contact us.